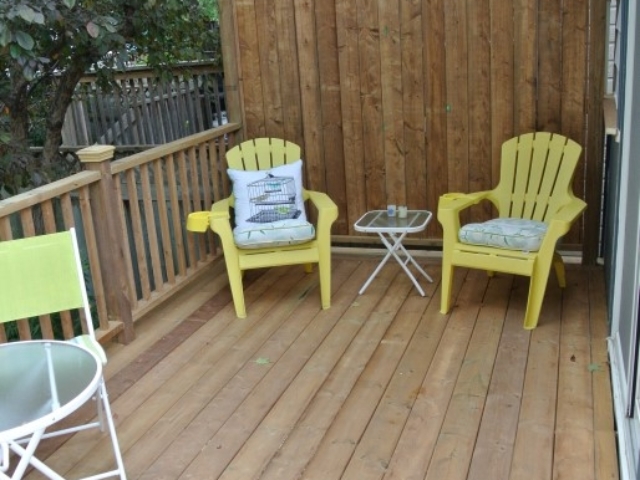 Relax On A Beautiful New Deck This Summer! 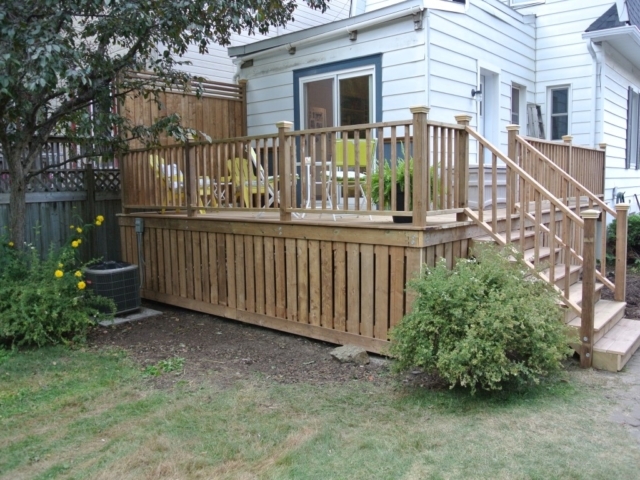 We design and build wood and composite decks. Are you looking for the ultimate upgrade for your home and lifestyle? 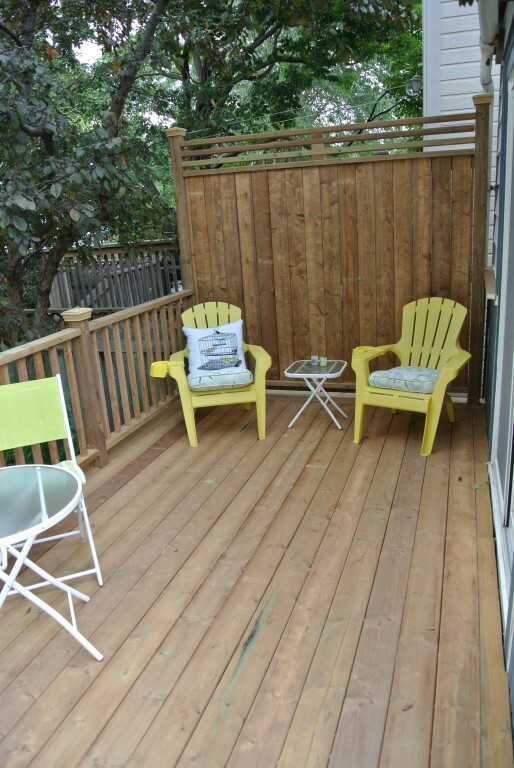 Consider the construction of a new custom deck! Whether you’re building a new home or remodeling an existing property, a well-thought out and craftsman built deck will add value and enjoyment to your home. Alan’s Landscaping and Heather’s Gardens is a family owned and operated construction and landscape design company based out of Ottawa, ON. 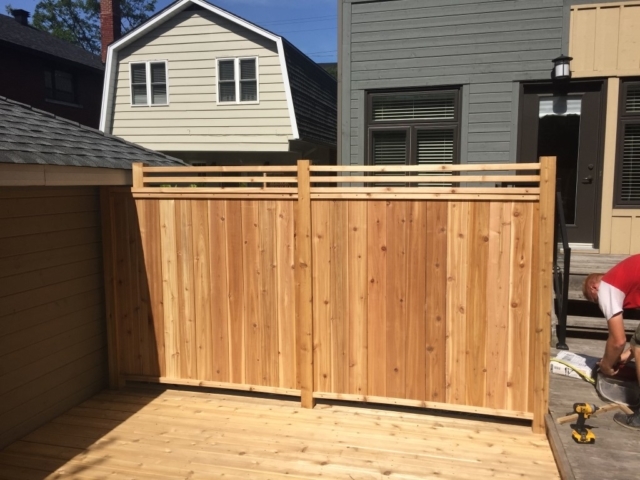 We specialize in the design and construction of custom decks using natural materials like Western Red Cedar or even longer-lasting, durable composites like Azek, Trex, and TimberTech. 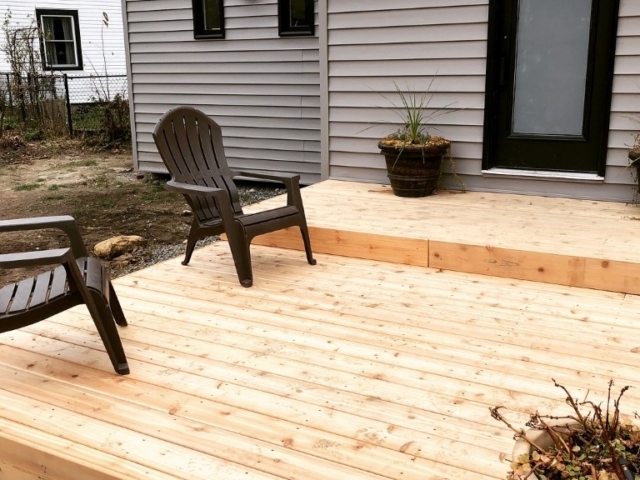 Whether you want a simple deck off your backdoor or a very elaborate and relaxing outdoor living area, Alan and Heather will be able to design and build your deck. 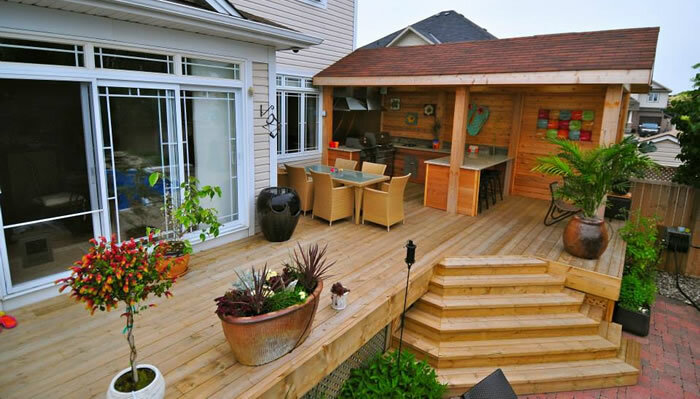 Only the finest quality decking products are used on your deck. Lumber is hand picked whenever possible, and we only offer the highest quality composites that provide an outstanding warranty. 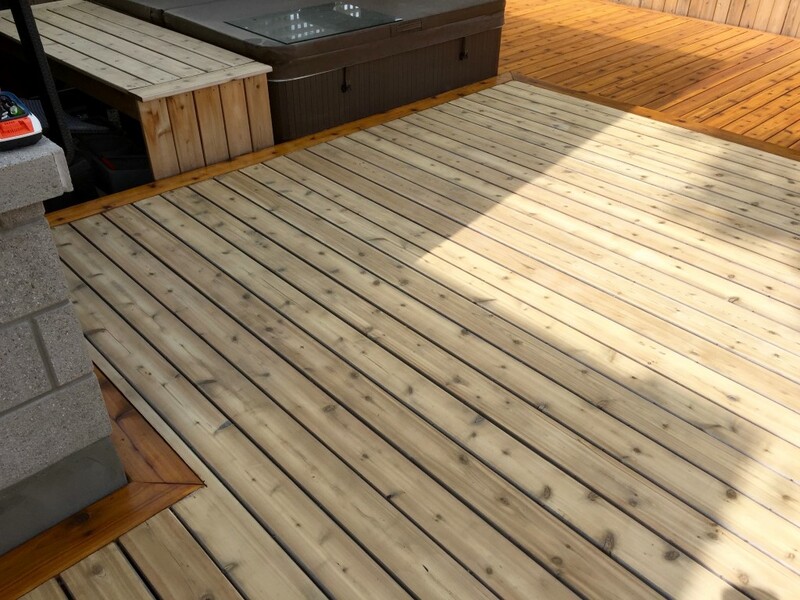 If you like and enjoy the natural look of a wood deck and you love feeling of a warm wood deck under your bare feet, then a wood deck is probably the best choice for you! 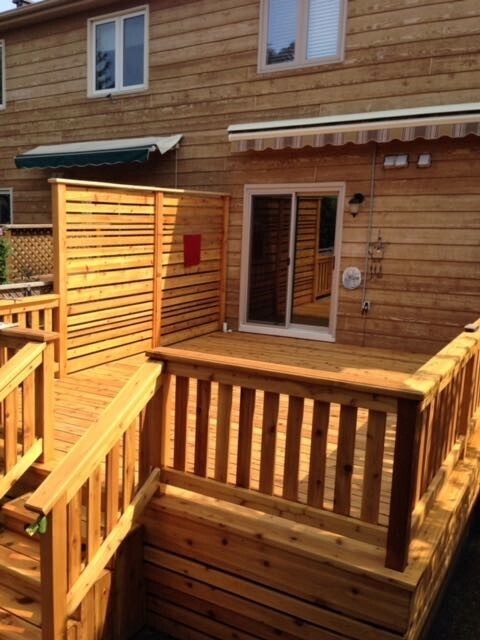 If it’s a wood deck you want, ALHG specializes in building wood decks out of Cedar. Western Red Cedar is a softwood lumber that grows in abundance in the Pacific Northwest. 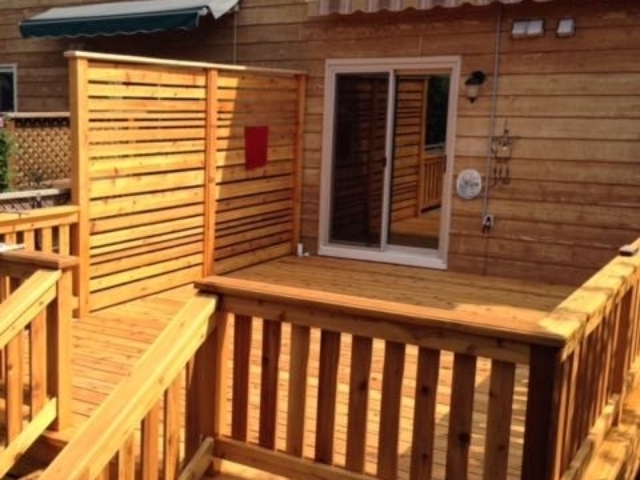 Considering cedar decking material is more expensive than most wood decking materials there must be some really good reasons people want to pay the premium for cedar right? Right! Cedar is a very desirable wood for it’s aesthetic properties where it’s rich natural red hues and coloring deliver an iconic, timeless look for your home. Cedar is also naturally resistant to the attacks from many of our wood boring insects. Cedar is also resistant to rot and decay, much moreso than other softwoods and let’s face it… It’s pretty tough to beat the smell of freshly milled cedar! Cedar decking is available with or without knots (known as “clear” cedar) depending on the look you are after (rustic vs clean). 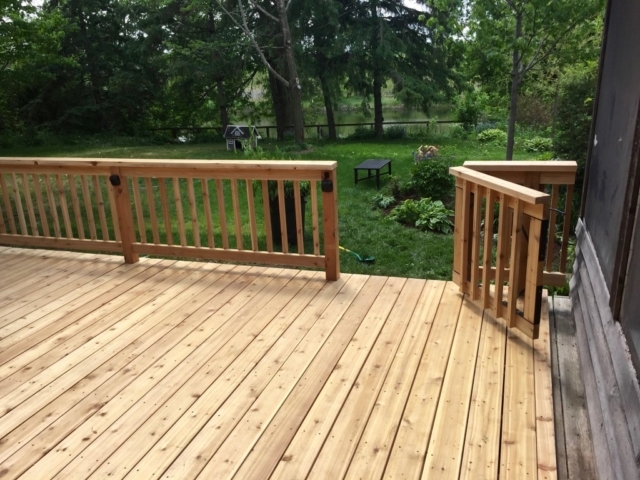 Are you looking to rebuild a wood deck that is no longer in usable or safe condition? 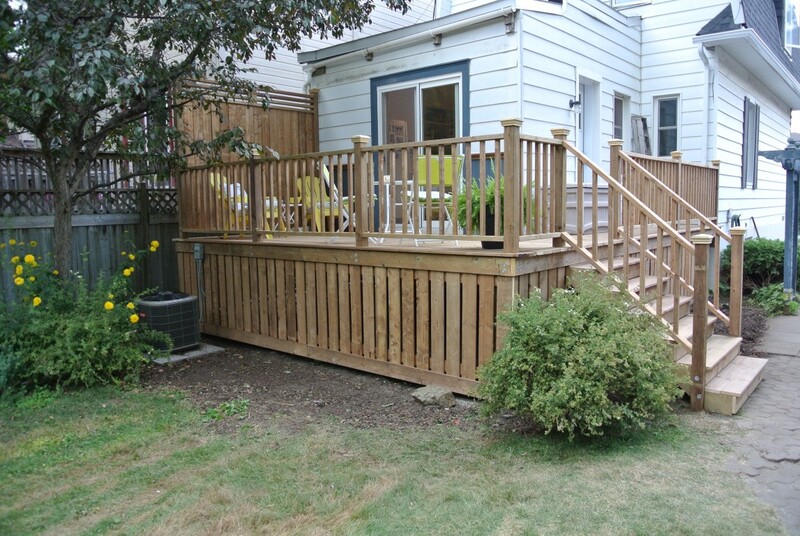 Do you want to build your new deck out of a durable and long lasting, low maintenance material? 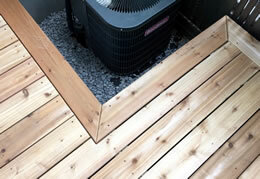 Composite decking products are growing in popularity. Available in a wide variety of colors and styles the choices with composites are limitless. A wooden deck that isn’t cared for or maintained properly will be lucky to last a decade on your property without needing extensive work. Composite decking materials however, can carry up to a 25 year warranty on the product when installed by a professional. The warranty alone is a great reason to choose a composite, especially if you want to build a deck that will last the life of your home! If you’re an environmentally conscious individual and you want to make a “green” choice consider that composites and PVC decking materials are manufactured using many different recycled materials. 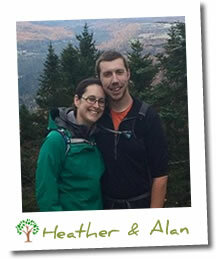 Why Choose Alan and Heather To Design/Build Your Custom Deck? 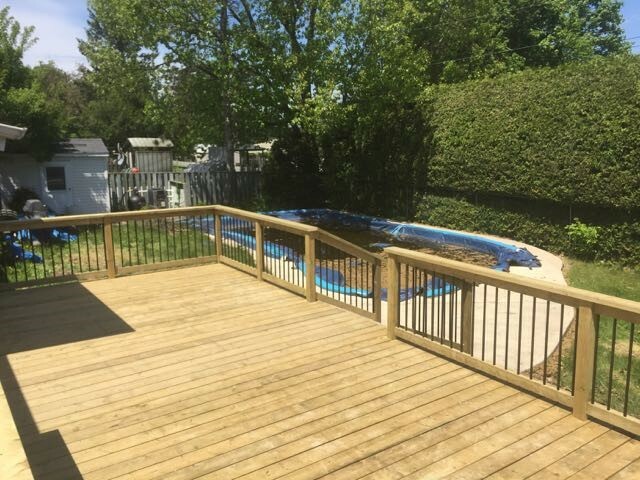 When you choose ALHG to build your new deck you are partnering with a small, locally owned, family run construction and landscaping business. With Alan specializing in Construction and Heather specializing in landscape design they are the perfect team to help you transform your property into the envy of your neighborhood. 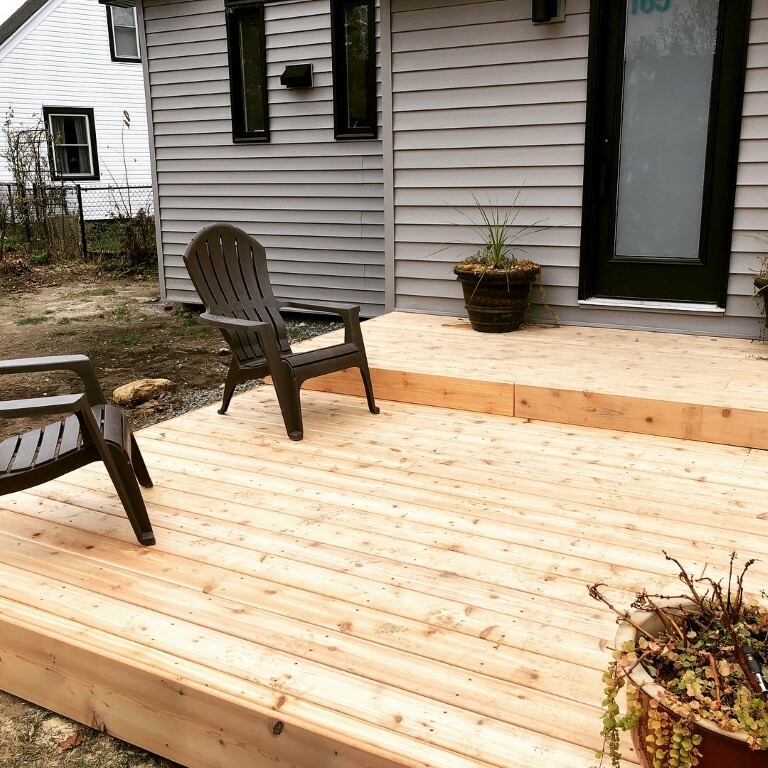 If you’d like an estimate to design and build a new deck on your property please give us a call (343) 262-4769 or fill out our contact form and we’ll get right back to you.